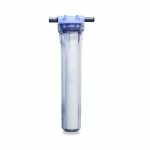 The Fleck 7000 SXT is a water softener designed for large capacity homes or light commercial spaces. This water softener will prevent scale and calcium build-up inside of water fixtures in order to prevent white spotting on clothing, dishes, and other appliances. It is a durable, affordable, and high-performing alternative to other similar water softeners on the market because of its eco-friendly design. One of the main benefits of this water softener, comparatively to other water softeners on the market, is its electronic display that allows consumers to customize the water softener to the user’s needs without having to constantly reprogram the water softener. The Fleck 7000 SXT Whole House Water Softener is one the the five best water softeners available. Read our article on the best water softeners of 2017 here. Overall, consumer feedback is positive for this product, and this system has received a very high rating from those who have tried it out after receiving it. Consumers who had this water softener installed properly gave the product the highest ratings because of the water softener’s performance. Consumers who gave the product lower (but still above average) ratings did so because of installation issues or the lack of clarity in the instructions. Because of this, an interested user may want to consider having a professional install the system. Consumers seem to prefer this softener to others because of the digital metered control that regulates the softer. Other softeners have manual dials that control timing and pressure, making this softener easier to use. Consumers like the adaptability of this water softener because of its ease to connect to different sizes of plumbing. The longevity of this water softener is also appealing because consumers will spend less money on repairs and replacements. Not only that, but this water softener is more eco-friendly than other water softeners because it uses less energy and salt. Consumers save both the environment and money! 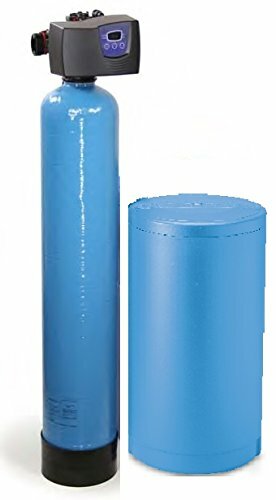 This brand of water softener is cheaper than other comparable brands on the market, but has a reputation equal to more expensive, high quality water softener brands. This means consumers will be saving hundreds of dollars for about the same quality of service that other water softeners provide. The electronic, digital control system allows the user to program the water softener to do as needed. It is convenient and easy to use. The on-demand meter measures the actual amount of water used and restores the softener based on that usage. Can be connected to plumbing with multiple sizes of fittings, depending on the seller. This model of water softener uses less energy and salt than other water softeners, which helps the user save money and the environment. Delivers a steady flow of water that does not decrease in pressure regardless of usage. Can be disconnected and maintained easily because of the quick-connect clips used for installation. More affordable than comparable softeners on the market. Because this water softener is named after the control valve (Fleck 7000SXT), some of the hardware (resin, tanks, etc.) may come in different sizes, or not at all, depending on the seller. Some sellers, who charge for installation, include providing resin in the cost of installation. 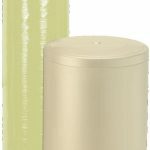 Because of the size of the water softener, it is not made for smaller homes or large businesses. It is more useful for large homes with higher water demands.